The research team, led by Joel Stern, Ph.D., an associate professor of Neurology at Zucker School of Medicine at Hofstra/Northwell and an associate professor of Molecular Medicine at the Feinstein Institute for Medical Research, focused on a subset of neurons located deep in the brainstem, in the area just above the spinal cord, known as the nucleus gigantocellularis (NGC). 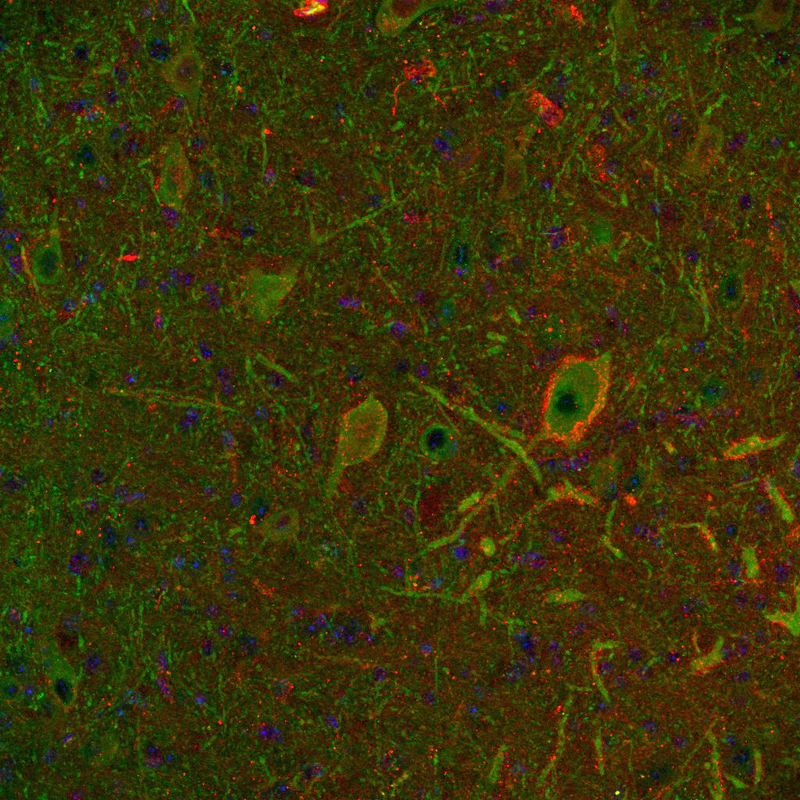 Some of the neurons in the NGC project to the thalamus, which is responsible for maintaining wakefulness and consciousness. When the NGC is damaged or the projections to the thalamus are interrupted, consciousness can be lost. In addition, these neurons are critical for the initiation of conscious movements and waking the brain from certain stages such as deep sleep, anesthesia, or injury. When this process, called “generalized CNS arousal” (GA) does not work properly, disorders may result. Although the NGC has been recognized as a key player in proper brain function, information regarding its gene expression has remained limited. The underlying reason for this was, in large part, the inability to isolate the NGC cells. Dr. Stern and colleagues utilized the retro-TRAP (translating ribosome affinity purification from retrogradely labeled neurons) technique, developed by the Freidman lab at The Rockefeller University in 2013, which allowed for the successful isolation of the NGC neurons. Using this technique, the researchers were able to detect mRNA specifically from the NGC neurons, resulting in the first transcriptome from these cells. After sequencing and analyzing the transcripts, the enzyme endothelial nitric oxide synthase (eNOS,) which leads to the production of nitric oxide (NO), was found to be uniquely expressed. This novel finding led them to probe the role of eNOS in brain functioning. Both humans and mice have three distinct NO synthase enzymes: neuronal nNOS, endothelial eNOS, and inducible iNOS (induced by cytokines of the immune system.) 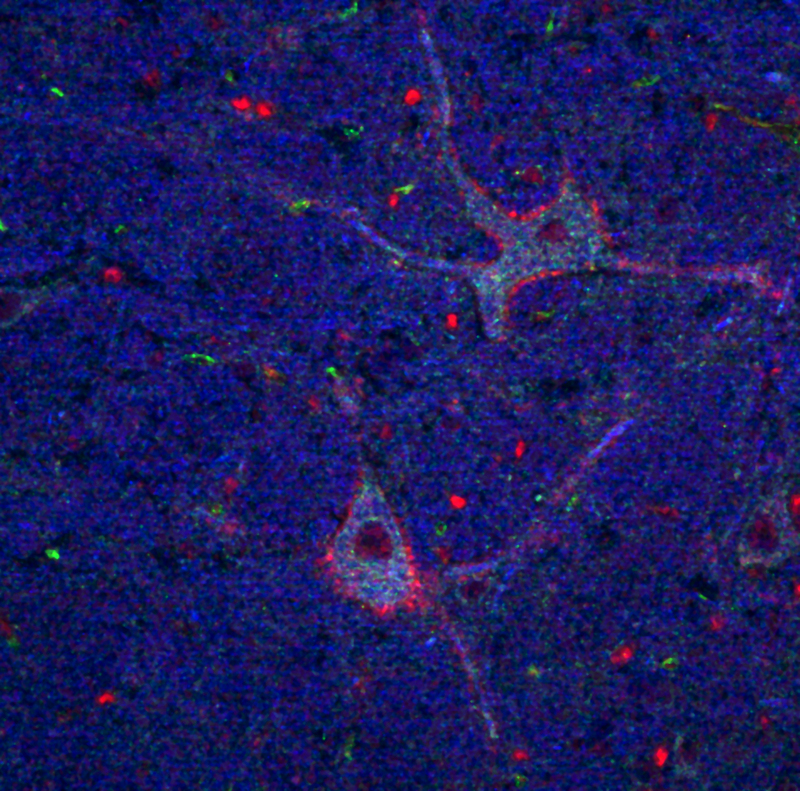 Because eNOS is generally found in blood vessels, its expression in neurons was an unexpected finding. Dr. Stern says the team was “surprised at the finding that the eNOS pathway was in the neurons.” The group then established a close relationship between the eNOS-positive neurons and the blood supply. 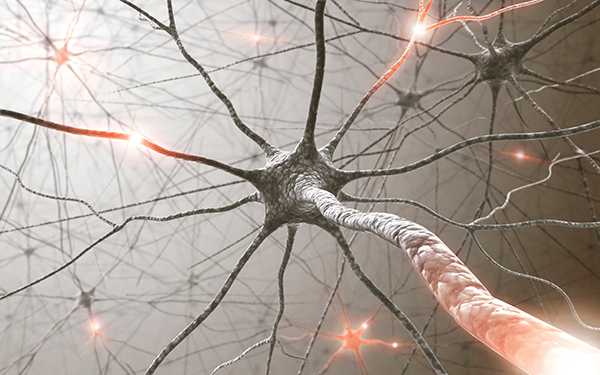 The researchers sought to determine under which conditions eNOS was active in the NGC neurons. More specifically, they wanted to assess if eNOS was activated in NGC neurons in response to changing environments. 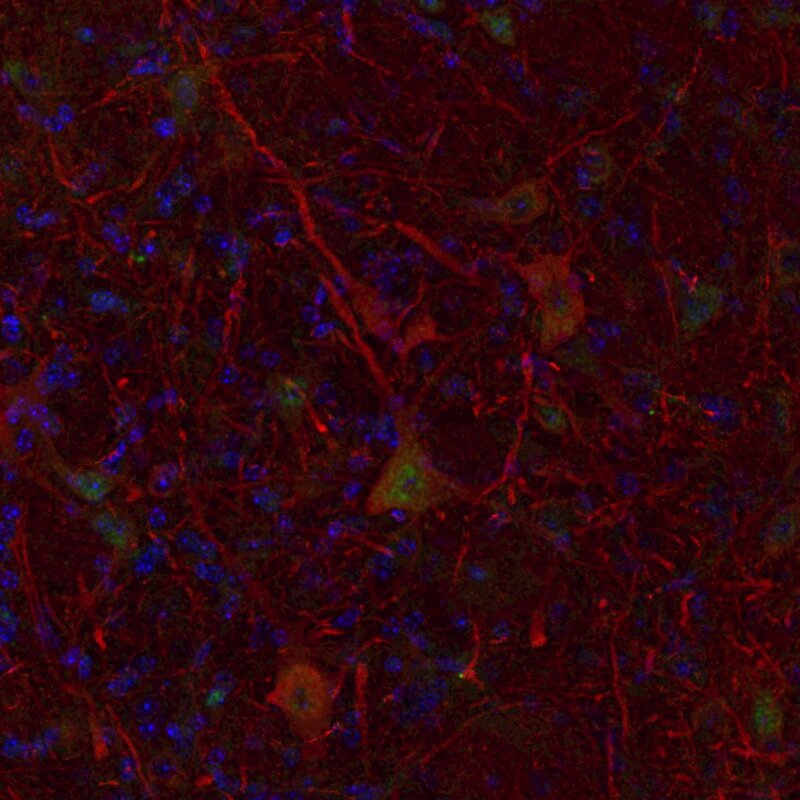 To do this, the researchers subjected mice to various environments, and monitored the activation of eNOS positive neurons by measuring nitrotyrosine levels, a protein modification that occurs due to NO production. The researchers exposed the mice to three environments: a clean cage containing novel scents, a shock chamber that delivered 15 mild and unpredictable foot shocks for the duration of one hour, and three repeated sessions of forced swim with periods of recovery under a heat lamp. For each of the three exposures, the brains of the animals were collected and nitrotyrosine was measured. When mice were in their home cages, eNOS remained less active. However, upon switching to a new environment, the levels of eNOS increased. Out of the three conditions, the novel scents and forced swim conditions produced the largest amount of nitrotyrosine. Although the foot shock condition did not have the same effect—a result that Dr. Stern finds a “bit perplexing.” He also finds it interesting that different environments may result in varied levels of eNOS production. To test the role of increasing levels of NO in the modulation of GA, behavioral assays were coupled with the microinfusion of a NOS production blocker N(G)-Nitro-L-arginine methyl ester (L-NAME) into the NGC. The animals that had their NO production blocked exhibited a strikingly different behavior upon returning to their home cage, after exposure to environmental perturbation (in this case, a cage with novel scents), then those who had received the control (saline) injection. The L-NAME­–injected mice remained highly active, lacking the ability to recover after a highly stimulating event. This suggests a link between eNOS production and certain mental disorders that occur due to a dysregulation of arousal. When asked about the potential for the development of therapeutics from this work, the first author of the paper, Inna Tabansky, Ph.D., cautions that eNOS-based drugs are probably not a possibility. She cites that because eNOS is a main player in the circulatory system with multiple roles, inhibiting it may lead to many unwanted side effects. Dr. Tabansky says that their goal is to “increase their understanding of how the eNOS expressing neurons interact with other neurons in the brain region to modulate behavior.” Researchers are trying to analyze that relationship by removing eNOS from these neurons. They also want to uncover the molecular profiles of other neurons in the region, as Dr. Tabansky suspects that other neurons may express eNOS as well, something that she is interested in researching further.